With so many virtual reality (VR) headset makers investing in controllers and room-scale tracking, you would think gamers are taking to their feet, moving around to get the full breadth of the VR experience. Surprisingly, that's not exactly the case. According to Jason Rubin, VP of content at Oculus, many Oculus Rift owners prefer to play sitting down. Speaking at E3 2018 last week, Rubin said many gamers are actually requesting a "seated play" mode for Oculus Rift games. "When we started working in VR, we assumed everybody would be standing, everybody would be doing those things," Rubin said, as reported by Upload VR. "It turns out a lot of people – perfectly healthy people – would like at the end of a hard day of work, or whatever they’re doing, to just sit down. But they appreciate the immersion of VR and everything else." 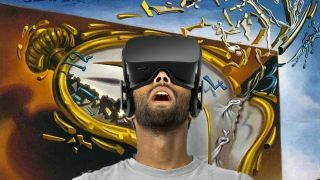 Rubin called the number of people who play Oculus Rift games sitting down "a significant percentage." This unexpected preference to remain seated on your keister may have come as a surprise to Oculus, but now it's seeing game developers build modes specifically for sitting into their experiences. Room-scale isn't practical for many VR headset owners, who might not have the space for it, so having an optimized seated playing experience makes sense. And while new headsets like Oculus Go and the as-yet-unreleased Project Santa Cruz offer untethered VR for greater mobility, many gamers may simply prefer to stay comfortably seated, safe in the knowledge they won't bump into anything while playing their favorite VR game.